Who Else Wants To Know: What Are Superfoods? Food awareness is essential to maintain a healthy lifestyle. 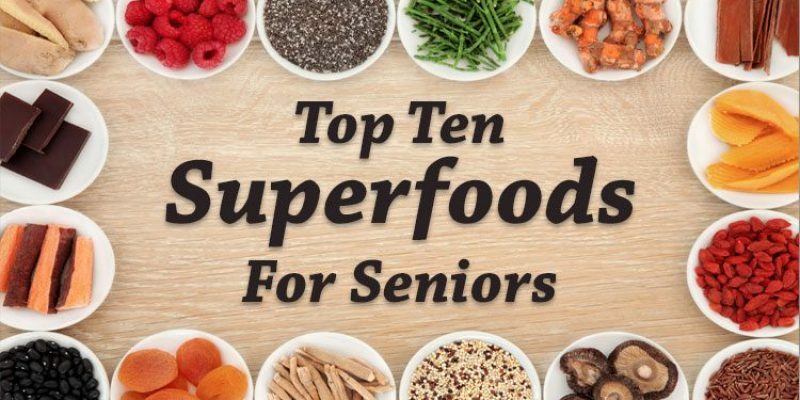 As a senior, particular diets are usually encouraged, but did you know that there are certain foods which provide enormous health benefits? They don’t call them “super foods” without reason. Superfoods refer to foods that are loaded with nutritional value and contain powerful antioxidants. Antioxidants fight against free radicals which cause damage to our cells. In other words, antioxidants help reduce the risk of common health conditions such as heart disease, diabetes, inflammatory diseases, and even cancer. Antioxidants boost your immune system as well as “slow” the aging process, thus being part of our anti-aging arsenal. Health benefits: Reduces the risk of heart diseases, prostate cancer, digestive tract cancers and improves bone health. Lycopene is a pigment responsible for the reddish color of the tomatoes. It also has some very impressive alternative uses as well. Lycopene is a phytochemical that helps eradicate cancer-causing free radicals in the body. Recently, researchers have linked the importance of lycopene to bone health. A study conducted on postmenopausal women showed an increased risk of osteoporosis when lycopene-containing foods were removed from their diet. Active ingredient: Flavonoids including EGCG (epigallocatechin gallate). Health benefits: Reduces the risk of certain cancers such as those affecting the bladder, prostate, breast, stomach, and blood. It improves brain function, has anti-aging properties and promotes healthy gums. It also helps to reduce the risk of diabetes and depression as well as inflammation among patients with arthritis. Green tea is made from the Camellia sinensis herb. Green tea is an ancient anti-aging secret among people in China and Japan. People around the world are becoming more and more aware of the health benefits this drink has to offer. A study conducted in 2009 by Dr. Kaijun Niu at Tohoku University Graduate School of Biomedical Engineering in Sendai, suggested that men and women, 70 years old and above, who drank 4 or more cups of green tea daily were less likely to exhibit depression symptoms as compared to those who only drank once a day. In another study, it was found that older adults who consumed 2 or more cups daily were half as likely to exhibit cognitive impairment compared to those who drank 3 cups or less of green tea each week. While a rich source of antioxidants, green tea also contains caffeine. Therefore, it should not be consumed in excess although the amount of caffeine is less than in a typical cup of coffee. The University of Maryland Medical Center recommends an intake of 2-3 cups of green tea per day. Active ingredient: Resveratrol, flavonoids, phenols, and tannins. Health benefits: Reduces the risk of heart disease and increases the good (HDL) level of cholesterol. It improves blood clotting and has anti-aging properties. Amazingly, it promotes a lower risk of tooth decay and gum diseases. Surprisingly, it also reduces the risk of osteoporosis and aids in the prevention of certain cancers. A common misconception is that drinking any alcohol is “bad for you.” Consuming alcohol in excess is definitely detrimental to all areas of your health. However, drinking responsibly has its benefits. That being said, the National Institute of Health recommends that people aged 65 and above should not exceed seven drinks per week (one drink is equivalent to 5 ounces of wine) and no more than 3 drinks in one day. Also, mixing alcohol and medicine together may be dangerous. It would be best to consult your doctor before adding red wine to your diet. Health benefits: Improved brain function; lowered risk of diabetes and heart disease. Got a sweet tooth? Indulge in some dark chocolate! It is packed with antioxidants, soluble fiber, and minerals which reduce the risk of heart disease and diabetes. A study conducted on over 400 elderly men suggested that the rate of cardiovascular deaths was reduced by 50% over a period of 15 years when dark chocolate had been consumed regularly. Active ingredient: Omega-3 fatty acids. Health benefits: The foods have anti-inflammatory properties and help to reduce the risk of arthritis, heart disease, and cancer. Active ingredients: Folate, antioxidants, vitamins, and minerals. Health benefits: Legumes have anti-inflammatory properties and help to improve blood vessel function, lower bad cholesterol levels as well as improve heart health. Beans and peas are fully loaded with antioxidants, vitamins, and minerals that exhibit anti-inflammatory properties. They are saturated fat-free and cholesterol-free. Legumes are also rich in soluble fiber. Good examples of these beans and peas include chickpeas, kidney beans, lentils, black beans, and red beans. The National Heart Foundation of Australia recommends that legumes be included in your diet for at least 2 meals each week, but more is definitely better. Consider recipes that include hummus or soups that easily add legumes to your diet. Health benefits: It will help to reduce the risk of stroke, heart attack, osteoarthritis, high blood pressure, diabetes, and prostate cancer. It is considered to be a cure for menopausal hot flashes, gastric irritation, conjunctivitis, and viral infections (such as influenza). Another superfood that tops the list is the oh-so-juicy pomegranate. Not only is it packed with vitamins and very potent antioxidants, but it plays a role in reducing bad cholesterol levels. By helping in the prevention and build-up of cholesterol, the risk of heart disease and stroke is reduced. Also, as a neat trick, here’s a 10-second trick to de-seeding a pomegranate. Health benefits: Cinnamon helps decrease the risk of heart disease and diabetes, lowers bad cholesterol levels and has anti-inflammatory and medicinal properties. It helps to regulate blood sugar by improving sensitivity to insulin. In addition, it enhances brain function, especially in the areas of cognitive processing, visual-motor responses, and attention. A daily intake of cinnamon reduces blood cholesterol levels as well as blood sugar levels by 20-30%. Additionally, even just smelling the aroma gives some health benefits by boosting cognitive processing and visual motor responses. Health benefits: Blueberries improve brain function and reduce the risk of heart disease, diabetes, cancer, and urinary tract infections. It will enhance the immune system, help form collagen and promotes healthy gums. Anthocyanins, which is an active ingredient in blueberries, are not only responsible for the blue color of the berries but is actually a subclass of flavonoids which are potent antioxidants. In fact, blueberries have been ranked as having the highest antioxidant properties among all fruits and vegetables. Blueberries are a rich source of dietary fiber. They are also a potent source of vitamin C. One serving meets 25% of your daily required value of vitamin C. Blueberries really are a superfood. A study conducted at the University of Illinois proved that blueberries have the ability to fight off the free radicals which are known to cause cancer. The study also suggested blueberries’ ability to hinder the formation of tumor cells. So the next time you’re shopping for food, ask yourself what are superfoods and try to include a few of these in your grocery list. Make them a regular part of your diet. Read more on Guide for Seniors about items of interest to the senior community.